When I was first diagnosed with Diabetes Type II, I thought I'd never be able to eat a number of foods again, one of them being chocolate. I love chocolate. With time, however, I learned to make a hot chocolate drink with unsweetened cocoa powder, unsweetened soy milk, and stevia. At least that curbed my desire for chocolate. A few months later, I was reading an article by Diabetes medical writer, David Mendosa. He was trying out various chocolate bars for people with Diabetes. At the top of his list was Mary Jo Kringas's Chocoperfection Chocolate bars. He included the company's website, just like I am doing now, www.chocoperfection.com (or click here). Wow, I thought. I'm going to order a sample now. And I did. I've been happily eating Chocoperfection chocolate ever since. And I've also gotten to know the wonderful Mary Jo Kringas! The first time I called the company, I expected to get someone else, not the founder and owner of Chocoperfection chocolates. But there she was on the phone with me, happily taking my order. And she is happy. She loves what she does and she knows her product. I've been ordering chocolate from Mary Jo for over a year. More than once I've told her that her chocolate in many ways has saved my life because every time I've wanted to "give up" and eat "whatever I want" despite the consequences (and there are serious consequences), I have the chocolate to eat: dark chocolate with or without almonds, milk chocolate, mint chocolate, chocolate with raspberries. I've tried them all. The bars are not small, and sometimes, I eat two bars in a day without ever worrying that my glucose numbers will rise. They don't. These bars are not made with any sugar, and yet they are sweet and deliciously satisfying. The high fiber content is the key. Each Chocoperfection bar has only 2 grams of carbohydrates (the bar with the almonds has 3). After getting to know Mary when I would call in my order, I began to wonder how Mary Jo began her business. What led her to begin making chocolates without the sugar? I decided to interview her and bring her story to you, as well as offering you information on how to order her chocolates! What I learned is that Mary Jo is a jubilant, confident, amazing woman who survived a very difficult childhood-- and now her choice of business is helping many of us overcome our own struggles. Thank you, Mary Jo! And thank you for sending in the photographs of you to share with all of us. Amelia Montes: So tell me about what prompted you to get into the chocolate business? 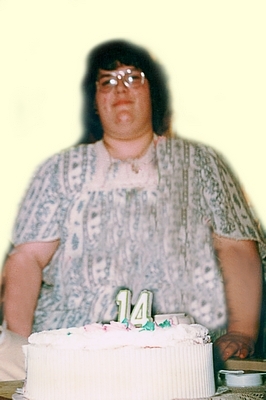 Mary Jo Kringas: I'm 49 now and when I was a teenager, my height was 5'6", and my highest weight was 460 lbs. It's a totally different matter to go from being a fat person, to being a thin person than it is to always be a thin person. Most weight-loss books are written by people who have always been thin, and I know from experience that these books usually do not help with weight loss. Today I weigh 165 lbs. I'm still learning. In 2003, I had been eating the Chocoperfection bars for one year and I lost 75 lbs. I ate as many bars as I wanted and I also ate sugar free, low carb, and gluten-free foods. I made sure not to eat any artificial sweetners. This was completely done by trial and error. I was told by my naturopath that I had a "candida" infection. Because of the infection, I would crave sugar and not lose weight. Candida infections result in craving sugar and that's what feeds the infection. There's a syndrome called "the leaky gut syndrome" which is related to the systemic candida infection. The symptoms frequently include: obesity, water retention, craving of sugar, chronically getting a cold or flu--essentially symptoms of a compromised immune system. Amelia Montes: It sounds very difficult. Mary Jo Kringas: Yes. Insanely hard. I had a very difficult time with it. A lot of people might, in their minds, know it's a good idea to stop eating sugar. But they will crave it if they have a candida infection. It's estimated that this condition affects at least 45% of all women. I don't know how many men are affected, but I've read studies that it can affect 20% of all men. I don't know why it is so high in women. Amelia Montes: Did you feel good after that year, losing 75 lbs.? Mary Jo Kringas: I first want to go back to how hard it was to stop eating sugar. There is only one way to lose weight and that is to control blood glucose levels so that the smallest level of insulin is produced. What is totally underestimated is how much emotional strength it takes to control sugar intake so that blood sugar levels will be low. I was dragged into a low carb diet kicking and screaming. When I wasn't eating ice cream, I was eating an apple, and an apple is sugar. I had a hard time giving up the sugar. Anybody who wants to help other people lose weight has to be compassionate with those who are trying to stop eating sugar. There's a lot to be said about how much emotional work needs to be done in order to change eating habits. As soon as I feel guilty, sad, anxious, or worried, the only food I want to eat is sugar. And I couldn't have done it without Chocoperfection. Amelia Montes: How did you begin to make it? Mary Jo Kringas: I found out about making it because a lady at my church was using oligofructose as a sweetener and she was buying it on the Suzanne Somers website. I had never heard of it. So I went to the Suzanne Somers website and bought it too, just like my friend. I started losing weight. I used it in my coffee, tea, for baking. Then I started mixing it with chocolate. I thought the Suzanne Somers website would sell chocolate made with oligofructose, but it didn't. Since I was eating as much of it as I wanted, and I was still losing weight, I felt it would be good for other people too. At the time, I owned a direct mail company in Chicago. When I needed to create the print materials and create the message for this product, I had the resources in place that would help me with that. I'm very lucky I already had great resources for marketing and graphic design. It took about a year to create the Chocoperfection bar. At first, I worked by myself in the kitchen. I didn't sell any of the ones I made myself. You can't just make a product in the kitchen and sell it yourself . . . there are a lot of laws against that. As soon as I knew I had a recipe that worked, I found a chocolatier that was food industry certified, including FDA, OSHA, and Kosher certifications. I gave them the recipe and I asked them to make the chocolate bar. The prototype took about 3-4 months. I only ordered about 2,000 bars to start and then as I got more orders, I would have them make more bars. Amelia Montes: Who is your chocolatier and can you talk a little bit about your ingredients? Mary Jo Kringas: We use a chocolatier that is in Canada. It's a factory that specializes in chocolate. I have visited and inspected the factory and I have made sure that no sugar or gluten ingredients can be in Chocoperfection. It's not a secret recipe. It's all on the label. Oligofructose: This is a fiber from chicory root. New FDA regulations allow the label to say "chicory root fiber" and our wrappers will show this starting in June, 2013. Chicory root is a healthy sweetener because it's all fiber that has known properties to help with lowering blood sugar levels, cleansing the colon, and supporting weight loss. Erythritol: This ingredient comes from plant fibers, and like oligofructose, it has a zero glycemic index. But the key difference is that erythritol has no fiber. They do some sort of fermenting process that takes the sweetness out of the plant but not the fiber. I always make sure I get the certified non-GMO product. But they can still put the non-GMO title on the erythritol only if they are making it in a non-GMO plant. It's the filtration, distilling process that can be non-GMO. But there's no non-GMO on the actual plants . . . still, the ingredient is non-GMO certified. Amelia Montes: How are these two sweeteners different from sugar? Mary Jo Kringas: Sugar comes from the sugar cane plant and there is no fiber in sugar. Sugar is cheap because it's easy to grow. High fructose corn syrup is really cheap. Chicory root fiber, by comparison, is only available to us imported from Belgium. Amelia Montes: Are you working on any new recipes? Mary Jo Kringas: I'm working on a recipe for Chocoperfection White Chocolate. Amelia Montes: Was it difficult setting up the business? Mary Jo Kringas: It's taken a lot of overtime. I didn't have any idea on how to bring a food product to market, how to package it, or how to set up a website. Eventually things changed, and it worked out very nicely to get stores to buy the product. Amelia Montes: What helped you begin selling the product? Amelia Montes: In addition to eating the Chocoperfection chocolate, what has helped you most in losing weight and keeping the weight off? Mary Jo Kringas: I measure my blood sugars. Amelia Montes: But you don't have Diabetes, right? Mary Jo Kringas: Right. I do not have Diabetes. I measure my blood sugars every day using a glucometer and I manage my sugars so I know exactly what influences my blood sugar. When my blood sugar is over 100, I am creating excess insulin. Excess insulin will put and keep fat on my body. I got clued in by reading Jimmy Moore's website. Six months ago, Jimmy Moore began measuring his glucose levels too. My morning glucose numbers are between 72 and 84. There is also evidence that oligofructose lowers blood sugars over time. Normally, blood sugar levels tend to go up as we age, so it's interesting to me to find out how to keep glucose levels low. Amelia Montes: Glucose strips can be so expensive when you are measuring your blood glucose levels. Those of us with Diabetes and who have medical benefits, we can get strips through our insurance (even though it's still expensive). How do you get your strips? Mary Jo Kringas: I find my strips on ebay. I buy 250 strips (five packages of 50) for $75 on ebay. And you're right-- I don't have any insurance coverage for the strips. The other thing that bothers me is how the doctor will not tell pre-diabetic patients how a glucometer can be used to measure blood sugar levels with the objective to keep blood sugar levels low and thereby reduce the risk of diabetes. Amelia Montes: Has anyone in your family suffered from Diabetes? Mary Jo Kringas: My mother had Diabetes (type II) and was insulin dependent. My father passed away at age 47 of a heart attack. Within two years of starting insulin, my mother was on two other drugs to manage the side effects of the insulin and within ten years, she was on 17 medications. My mother passed away at the age of 83. She got everything from high blood pressure, heart trouble, cataracts. It was just remarkable how many different things she had wrong with her. She also had depression. My mother believed that since she was using insulin, she could have all the sugar she wanted. Her diabetes was so serious that she could not walk for the last 12 years of her life. 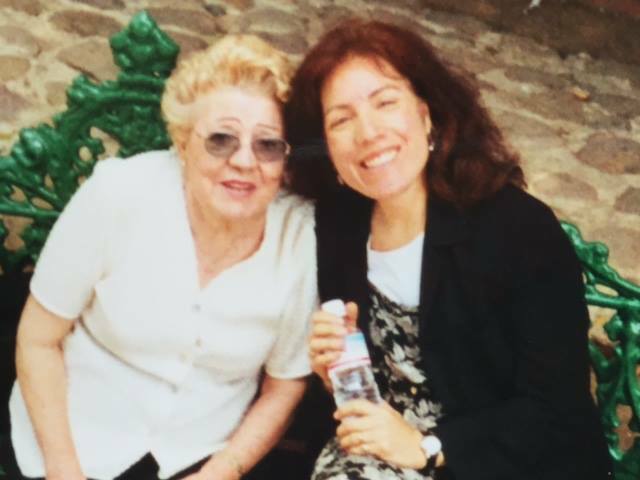 Amelia Montes: I hear so many stories like that about older female/male parents/grandparents. We know so much more now. And so with the chocolate and the glucometer, you continued to lose weight? Mary Jo Kringas: The second year, I lost another 25 lbs. Five years later, I goofed and started eating sugar again and gained 40 lbs. Sometimes you luck into a solution, which is what happened to me in 2003, when I knew to stop eating sugar and artificial sweeteners. Later, when I relaxed this plan, and gained 40 pounds, I knew I still had more to learn. This is when I bought the glucose meter, started measuring my blood sugar, and learned that I needed to always eat gluten-free as well. I got in touch with another low carb author: Maria Emmerich who wrote, Nutritious and Delicious. We met because she likes the Chocoperfection bars. I wrote to Maria. I did what Maria told me to do which was to stop the gluten and the sugar. The weight came off again. It taught me an important lesson: this is the path for me to lose weight. About eating gluten-free: I am careful to avoid any gluten-free foods that are made from starches, such as tapioca flour, or potato flour. These "gluten substitutes" have a high glycemic index and raise my blood sugar levels. I use almond flour or hazelnut flour in all my baking. Amelia Montes: Are there other "low carb" authors you've met or read or other things you do to help you keep the weight off? 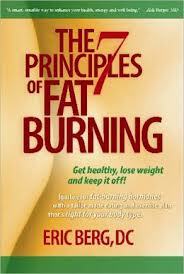 Mary Jo Kringas: There's a very good book called The 7 Principles of Fat Burning by Eric Berg. He's a chiropractic doctor and he says in his book that up to 40% of overweight (obese) women should not exercise because they have adrenal insufficiency. This means the body is too stressed out to benefit from vigorous exercise. Walking is good but nothing stressful. Personally, I meditate. I lost more weight through meditation than I ever did from aerobic exercise. I listen to meditation CDs such as from the Centerpointe Research Institute and from Innertalk. The CD I think has been most useful for my weight loss is "Using Metabolism to Melt Fat Away" by Innertalk. I usually meditate first thing in the morning. I think that people who have been overweight since childhood, like myself, have the most difficult challenge to overcome because they develop emotional patters that are harder to change. 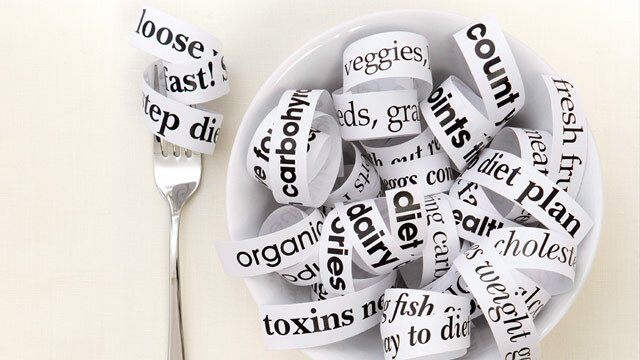 Amelia Montes: And what is your diet like now? Mary Jo Kringas: At about 10 a.m., I will drink coffee with heavy cream and eat a Chocoperfection bar. For lunch, I'll have some cooked fish, vegetables, or fried eggs. I'll also eat half of a Chocoperfection bar after lunch or awhile later for a snack. Dinner is usually a small steak cut in half with vegetables, or an avocado in salad, with fish or chicken. I always have low carb meals and make sure to have warm meals when I can. I also bake my own desserts and have at least two home-made desserts in my fridge at all times. I eat at least one dessert for dinner, and I need to make sure it is available to me: cheesecake, fudge, almond cake, pumpkin cake. Amelia Montes: It seems that now you are managing the weight well, as well as having much success with your business. Yes? Mary Jo Kringas: After losing and gaining and then losing again, something happened over the last twelve months where my portions became smaller. This is the first time in my life where I am not eating due to whatever emotional stress I'm under and I credit the Innertalk CD for this. I had NET emotional therapy every week for about seven years and I think that finally helped me work through the emotional eating and stop binge eating. There is a significant relationship between sexual abuse as a child and obesity as an adult. And for myself, I had to work through those issues. Many others, like myself, overeat as a way to insulate from the emotional pain. for me, I wanted to "get bigger" so I could not be hurt. There was lots of emotional trauma related to the abuse. I cried a lot, but it was very very healing. Amelia Montes: Wow. You have truly been through so much and have made such strides in healing. Indeed-- you are an inspiration. And what is the total weight you've lost? Mary Jo Kringas: I've lost 195 pounds. You can't even fathom what it's like carrying around another person. And the social stigma was another round of therapy all its own. Amelia Montes: No, I can't imagine. The before and after pictures are your record of your hard work. I can't even imagine the social stigma you experienced. Yet, you were committed to healing through your therapy. Again-- so inspiring! And through it all, here you are with Chocoperfection. How long have you been in business with Chocoperfection? 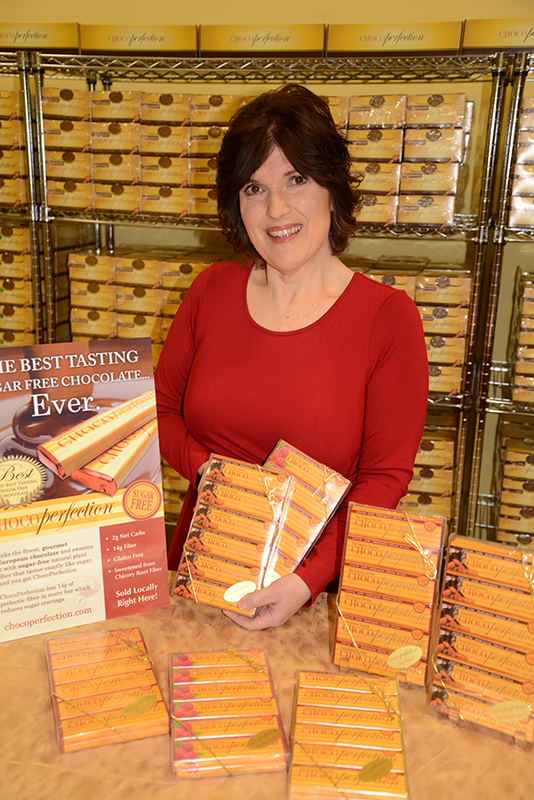 Mary Jo Kringas: Chocoperfection began at the end of 2003, so I guess it will be ten years this coming November. Amelia Montes: Who else works with you? Mary Jo Kringas: I've got two great kids. My daughter works with me at the warehouse every day and my son works with us during his breaks from college. We manage about a three-month inventory at all times. I live two miles away from the warehouse and office building. It's very manageable. it's a small operation compared to a big company. We normally ship about 500 orders a month. My job is to help customers and to develop new products. Amelia Montes: You mentioned working on a recipe for white chocolate. Any other recipes on the horizon? Mary Jo Kringas: Chocoperfection fudge is on the near horizon along with Chocoperfection white chocolate. Amelia Montes: Where do you ship? Mary Jo Kringas: We ship 98% of our orders in the U.S., where we offer free shipping. Surprisingly, we do have some international orders to health clinics and such, but the shipping costs are very high. Amelia Montes: Mary Jo-- I want to thank you so much for sharing your own personal struggles and success in losing and maintaining a healthy weight, a healthy lifestyle. And also thank you for giving us a history of Chocoperfection. I know it will mean so much to my readers, especially those on the weight loss path and those of us who are challenged with the chronic disease of Diabetes. You are an inspiration and a huge help to all of us who love chocolate and wish to keep eating it! Thank you! Mary Jo Kringas: Thank you Amelia, for all you do, to support education for a healthy lifestyle. 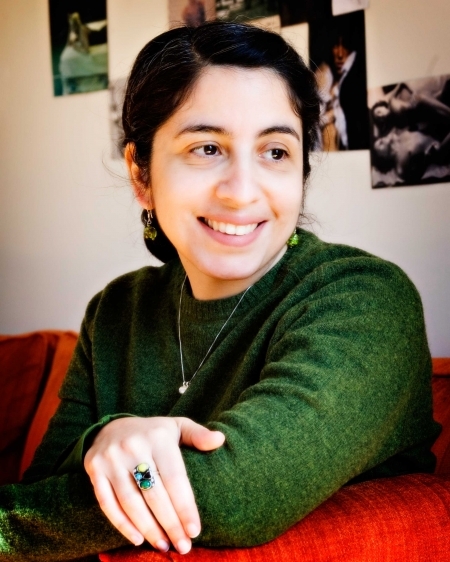 Memoirist and fiction writer, Nancy Agabian, who teaches creative writing at NYU Gallatin and also leads her own writing group has generously invited me to join the "Blog Hop." Nancy calls blog hopping "an internet, chain mail, Q&A dance." All of the following writers have answered questions about their present book projects: Nancy Agabian, Gint Aras, Beth Neff, Ryka Aoki, and I. At the end of my Q&A, I invite you to "blog hop" to the other writers listed to read their answers! A: The Diabetes Chronicles (a "very" "working" title because I don't think such a title will sell). I'm hoping that a different title will come to me as I continue revising. A: During the summer of 2010, I was diagnosed with Diabetes. I had already been researching Diabetes in my family and that of other immigrant Mexican families--weaving in fictional scenes (imagining the moment various family members were told they had Diabetes) with non-fiction (medical information and medical history having to do with Diabetes). Later, when I was diagnosed, I experienced an entirely new learning curve. I have observed the disease from "outside" of diagnosis and now from being directly affected by it. The responses I've received when I read excerpts or post mini-sections on my blog tells me that people are interested and hungry for this information because this disease is affecting so many people. Q: What genre does your book fall under? A: Creative non-fiction: medical information weaved into a one-act play, memoir, journal entries, poetry, newspaper articles, recipes . . .
A:The Diabetes Chronicles is about a woman's coming to terms with diabetes, a disease created by multiple histories/multiple nations and various people (lovers, relatives, friends) around her who either have it or are affected by it. A: The problem in answering this question is that I don't remember when the first draft ended and the second draft began because it's now in so many advanced stages. Wow--difficult question to answer. I will guess and say that the first draft lived for about a year--from 2010-2011. Q: What other books would you compare this story to within your genre? A: Lately I've been reading a number of memoirs that are working with broad societal issues as well as personal. Kristen Iversen's book, Full Body Burden: Growing Up in the Nuclear Shadow of Rocky Flats is a good example of the genre. Her book focuses on the Rocky Flats nuclear site near where she grew up in Colorado. The families who lived in that area (which included Kristen's family) were not told about the dangers of radiation that were present in the water they played in and drank. As well, there were secrets in her family too. Iversen is looking at a serious national/global issue while also delving into her own individual family. This is what I'm doing with "The Diabetes Chronicles." A: Diabetes inspired me to write this book! I am passionately interested in researching the history of Diabetes, taking classes on Diabetes management, and I'm so glad I formed my own Diabetes Support Book Group with women who are very willing to talk about the disease. I also have realized that there is a lot of misinformation out there. I want to help others with this chronic ailment. People are very interested in finding out how to prevent or manage the disease. Q: What else about your book might piqué the reader's interest? A: It's a book about love--learning to love every aspect of yourself, learning to love others despite disease, dysfunctional family histories, and a society that continually places profit over truth which then leads to serious illness in the population. 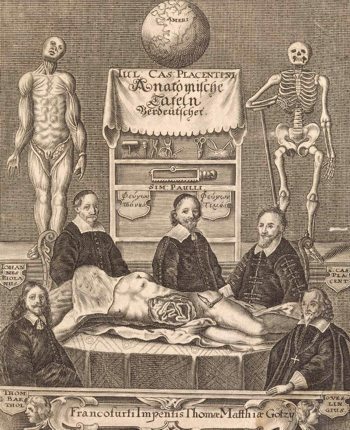 Historians are not sure whether it was the 1st or 2nd century (AD) when Ruphos, a Greek anatomist (working in Asia Minor), gave the name "pancreas" to the long and ruddy gland tucked deep in the abdomen behind the stomach. The gland at its longest is about 5-6 inches (that's long for being squished between the stomach and the spine). Its wet clay hue prompted Ruphos (I'm guessing of course) to think of "flesh" and not only "flesh" but "all flesh" (yes, that is the exact translation of "pancreas"). Maybe the flat tapered shape prompted the name "all"-- "all flesh" (encompassing many secrets). 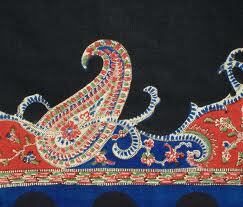 For me, the gland has always reminded me of a paisley design. Perhaps I would have named it "all paisley." 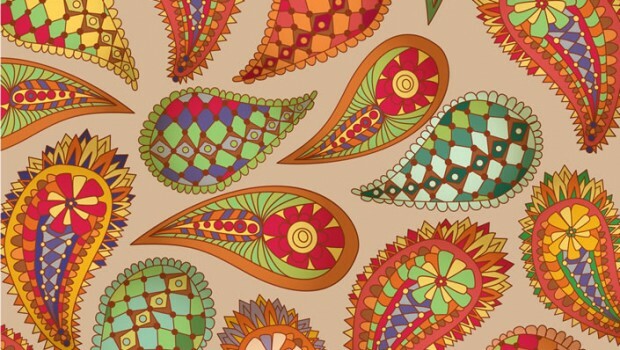 Sometimes I imagine the pancreas dressed in a myriad of colors-- multiple pancreas/paisley "all flesh" floating about . . . It's a way to make it friendlier-- to connect with the gland, claim it in order to further study it. But since I am a lover of literature, I think of Christina Rosetti's poem "All Flesh is Grass"--the lines, "So brief a life, and then an endless life/Or endless death; So brief a life, then endless peace or strife . . ." Rosetti is contemplating Isaiah in the Old Testament (40:6), but I can't help to think about the paisley pancreas. It so briefly attends to a body's needs (because we live finite lives) but will expire sooner (lose its paisely whimsy) if it's not working properly. "All flesh" but no power if the pancreas is not treated well, resulting in "endless strife"--better known as unmanaged Diabetes. And here is yet another term. Diabetes is a Greek word. Translation: "a siphon." The Greek physician, Aretus the Cappadocian, named the disease "a siphon" due to one of the complications from Diabetes which is constant urination or "passing water like a siphon." 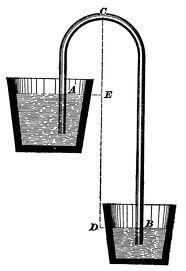 "Sweet water" was another name for Diabetes because of the high glucose content in the urine. This is how they diagnosed patients at the time. They would place drops of urine near anthills. If the ants swirled round the urine, they knew the patient had a high content of sugar in the body. It was a rudimentary test--but effective. Today we know that collecting urine to determine glucose levels will not effectively tell us the amount of glucose in an individual. By the time you test your urine, the levels of glucose in your bloodstream will be different. That is why testing a drop of blood will reveal a more immediate glucose level. Sweet water, however, is a lovely term. 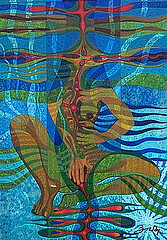 It reminds me of the Yoruban Orisha deity, Oshun, whose domain is sweet or fresh water. And ironically, Oshun is known for healing the sick. 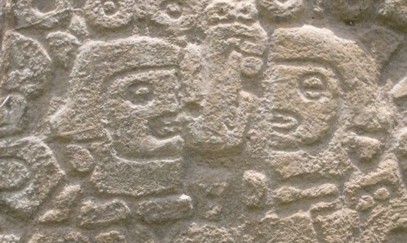 So I take these images, these historical discoveries, and my own creative imaginings to connect with "All Flesh," to understand what it does so that then I may continue navigating its actions. 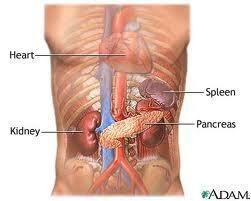 It is important to be the keeper of one's pancreas, to achieve agency and engage it. After three years of study, I know the pancreas that is afflicted with Diabetes needs stimulation (exercise), I know it has a very low threshold for dealing with too much glucose (maintain a low carb diet! ), I know it can slip away like a paramecium and get out of control if one gets a cold, manifests stress, experiences trauma, loses sleep, etc. Here-- meditation is the key! One of the most important things to do is make friends with this flat oblong gland. I suppose that's why Ruphus named it. What must it have been like the first time he held one in his hands? He had no idea about its function. In fact for a long time it was thought of as an artery or vein yet others doubted that theory because no blood ever came out of it. It wasn't until the mid 1800s that the first descriptions of the gland as an endocrine system were established. --such a slow process to figure out a disease that actually wasn't considered an epidemic like it is today.